Tickets: Click or pick them up at Redscroll Records. 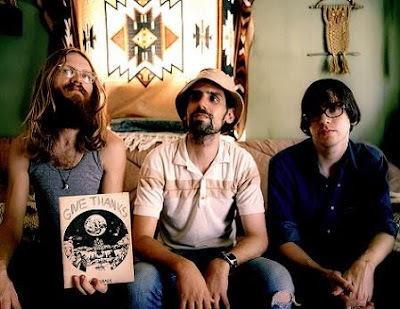 Dead Meadow met in the DC punk/indie scene, though their music draws from more faraway sources. The band formed in the fall of 1998 from the ashes of local bands The Impossible Five and Colour, when singer-guitarist Jason Simon, bassist Steve Kille, and drummer Mark Laughlin set out to fuse their love of early 70’s hard rock and 60’s psychedelia with their love of writers J.R.R. Tolkien and H.P. Lovecraft. Imaad Wasif is a Canadian singer-songwriter and guitar player whose music combines elements of both folk and rock music. Wasif’s music has been described as “unbelievably intense with sparkling, raga-influenced guitar and a mystic bent. He has also played in The Folk Implosion, Alaska!, Lowercase and on Lou Barlow’s albums for Merge Records. Wasif worked in collaboration with Karen O on the soundtrack to the film Where The Wild Things Are. As part of the Folk Implosion, he appeared in the 2002 movie Laurel Canyon.